This bike has been created for the customer who wants to hit the trail and have a bike that will happily eat up the miles on the road. 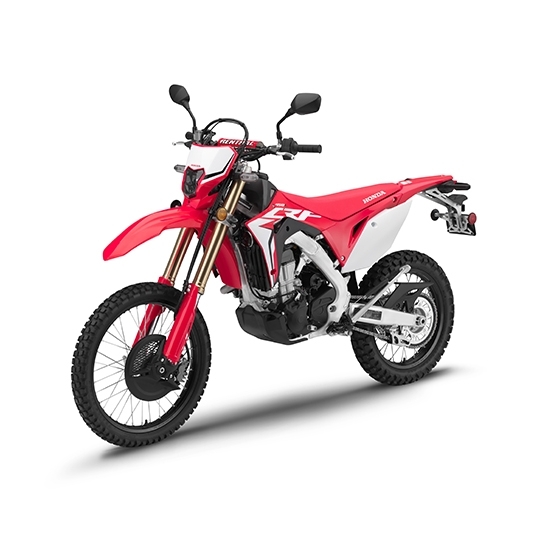 The current race-level bikes in the Honda range often require more intensive maintenance, however, the new CRF450l is designed for the customer who wants to just push a button and go with the convenience of road technology such as LED lights, larger fuel tank, speedometer, side stand plus a 6 speed gear box. The CRF450l is really about having fun in the dirt, it looks like a CRF450R but is really the trail friendly, road legal version. We anticipate these bikes being in demand when they first arrive this autumn. Be one of the first to ride one by getting a deposit down to secure your new CRF450L. Just give us a call on 02476 703900.